“…The quality of our decisions in an industrial environment depends strongly on the quality of our analyses of data. Excel, a tool designed for simple financial analyses, is often used for data analysis simply because it’s the tool at hand, provided by corporate IT departments who are not trained in data science. Manufacturers already collect data by the gigabyte, including metadata, plans and schedules, status, and history. It’s not big data. It’s tiny when compared to the daily terabytes generated by transactions on Amazon or eBay, but it is still ample fodder for analysis, that is woefully underutilized. The current databases contain information about trends, cyclical variations, product mix, and quality issues that most manufacturers do not currently extract. In such a context, I see an effort at improving analytics on existing data as a more relevant challenge than multiplying the quantity of collected data. 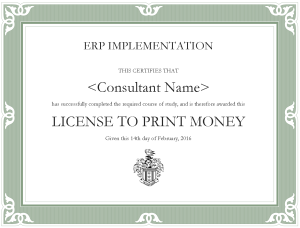 Is Choosing a Consultant Truly The Second Step in ERP Implementation? Can Lean do a do-over? 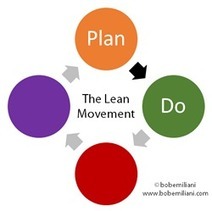 Nearly 30 years after the start of the Lean movement, there is widespread agreement that things have not gone according to plan. Bob’s title for the article is just “What Went Wrong?” which I feel needs to be set in context. 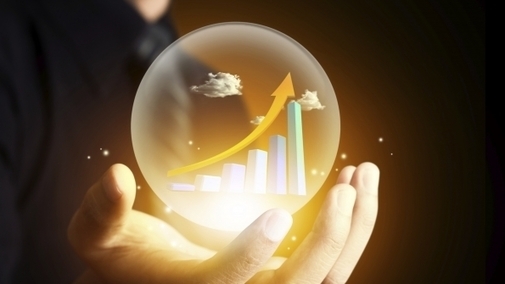 I agree with him that the most popular “Lean tools” are peripheral at best. None of the ones he mentions — 5S, visual controls, value stream maps A3 reports, or gemba walks — would make my list of what should be taught and applied first in a Lean manufacturing implementation. I would, on the other hand, include SMED, cell design, assembly line design based on takt time, etc. The emergence of Toyota and its production system (TPS) caught the manufacturing world by surprise. The first reaction was denial that it was new, followed by blind adoption of a few of its most visible features, and the development of something different, called “Lean,” which borrowed Toyota’s credibility but doesn’t have much left in common with TPS. Unlike Larry Fast, I am sure there will be another game changer in Manufacturing. It will come from an unexpected place, as post-war Japan was, and I have no idea what it will consist of. In the past 250 years we have had revolution after revolution in the art of making things, and I think it is presumptuous to assume that there won’t be anymore.